As a three-time Best Actress award recipient, Kara Hui (惠英紅) is one of the most successful and celebrated Hong Kong actresses today. Since her debut in 1976, Kara has had success portraying a variety of characters, but is most noted for her roles in martial arts films. Gracing the big screen at the same time as Kara included many beautiful actresses, such as Maggie Cheung (張曼玉) and Cherie Chung (鍾楚紅). Kara candidly shared that they did not feel any competition between them. “Maybe it’s because our image and acting routes were all different. I was on the path of being an action star. There was no way they could portray action roles better than me. However, Cherie was filming movies revolving around current social issues, which were very cultural and literary. There was no way Maggie or I could have portrayed the roles better than Cherie. Maggie is very cute and she portrayed a lot of comedic characters. In that sense, Cherie and I could not portray the roles better than Maggie.” Contrary to the rumor mill, the actresses did not have any ill feelings among each other. Today, though Maggie and Kara are still active artistes and are managed under the same company; there is still no ill will and the duo would occasionally meet up after work to chat. For many actresses, their careers reach a bottle neck between the ages of 30 and 40. Kara was no exception. She recalled, “At the time, I was completely unusable. I mainly filmed action movies, but when I was around 30 years old, there weren’t many action movies being filmed. Literary films were more popular at the time. A lot of actresses during that period were placed in ‘flower vase’ roles. Because I’m an action star, a lot of people felt that I didn’t emit a feminine aura. And since I looked younger than my actual age, I couldn’t play roles as mothers either. It was an awkward time. So awkward that I was unusable and people didn’t know how to cast me. Kara’s career hit a turning point, as well as an all-time high, during the latter portion of her life, when she met and began working with several esteemed directors, including Julian Lee (李志超), Ann Hui (許鞍華), and Ho Yuhang (何宇恒). 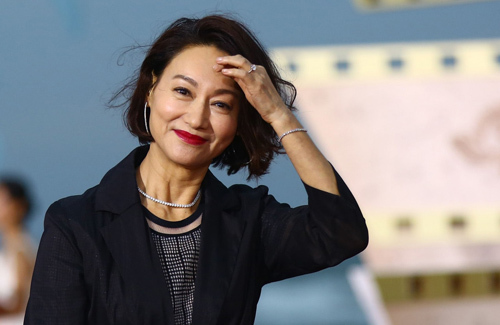 However, the 58-year-old action star attributes her achievements to luck, as she had the fortune of meeting and working with renowned directors such as Chang Cheh (張徹), Richard Li (李翰祥), and Lau Kar Leung (劉家良) early on in her career, and from whom she learned various acting methods. When filming non-action roles, Kara uses acting methods that Richard had taught her. She recounted, “He told me that when I portray a role, I am portraying a character in its current time. This is exhibited in only one hour of screen time. Although the character’s past and future is not depicted on screen, you still have to bring out the character’s personality, which is shaped by its past and will influence its future. That is how you can portray the middle portion of the character’s life.” Embracing this acting method and to fully immerse into her role, Kara often lives her own life with her character’s mindset for one week in preparation for filming. Kara was also good friends with Yammie Lam (藍潔瑛). At the mention of Yammie, who recently passed away after a long battle with depression and mental disorders, Kara appeared distraught and unhappy. She shared that when they were younger, they often met up after work to sing karaoke or hang out at the bar. The two drifted apart later on due to busy work schedules. They reconnected when Yammie first began having mental issues and was distant from her family. “We would play mahjong together and have home-cooked meals at home together once or twice a week. Sometimes, I feel that she is lonely because of the issues with her family, so I would bring my mother along to accompany Yammie for dimsum. I wanted to give her a sense of home. Towards the end, her mental disorder became worse. Even though we were helping her, she felt that we were trying to hurt her. She hid herself and I didn’t know how to contact her anymore. She would be living in one place one day and another place on another day. We basically could not get a hold of her. This article is written byHuynh Jayne for JayneStars.com. Kara Hui has aged beautifully. She was not as eye catching as Maggie Cheung in her younger days. But i much prefer her looks to Maggie’s now.